By TLex On September 10, 2012, Polish technical diver, Darek Wilamowski, attempted to break the world record for deep diving in a lake. He had planned to dive to over 300 meters, but unfortunately, during his descent there were some technical problems that precluded him from reaching his target. However he still reached 243 meters, an amazing accomplishment! During his stay in Italy, Darek made a total of 9 deep dives in Lake Garda: 2x 100m, 2x 130m, 4x 150m and 1x 243m. Each time he was equipped with the XICORR Circle GARDA LE prototype WATCHES, which take their blue dial color from Darek's diving suit. 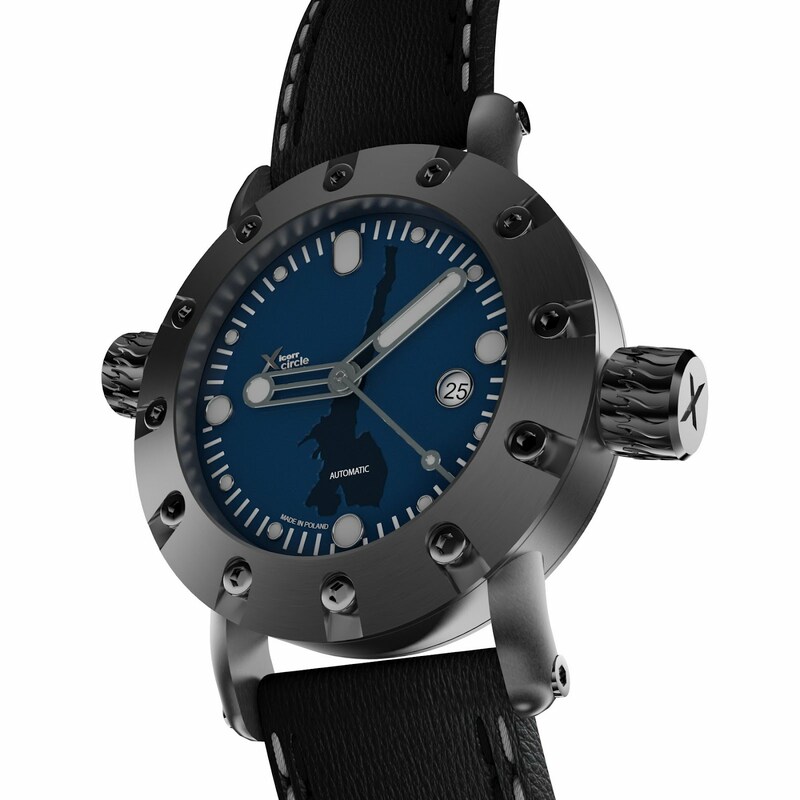 In Attersee Darek dove with a Circle BC with a white dial; he reached 150 meters there. Darek reported that the watches all performed very well and without issue. He will make a 2nd attempt at the record next year! 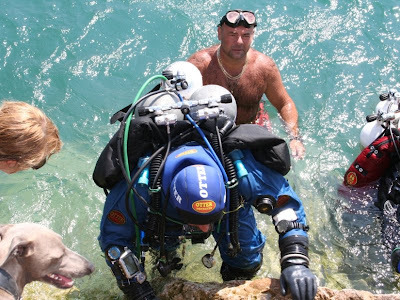 Let's remember that these divers do not normally use any type of dive watch and relie on much more useful dive computers for their dive. In this case, he was wearing two dive computer and one bottom timer. I am sure the watch company helped pay for the dive, as a sponsor but no respectable diver would relie on a dive watch for anything these days, even a 20ft dive. This watch would be about as useful in this dive as a dead chicken.